Plan the ultimate romantic lunch or dinner at one of these Sydney eateries that serve delicious flavors with culinary influences from around the world. 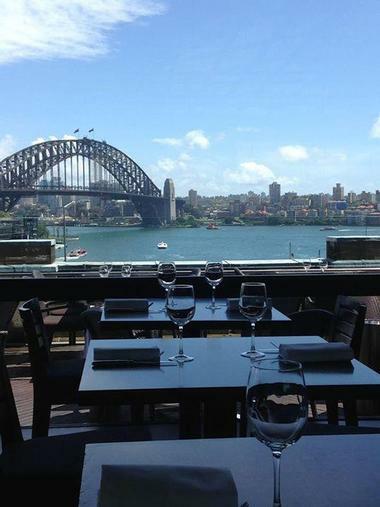 Grab an outdoor table with a view of the Sydney Harbor, book a table in an elegant dining room with grand interiors, or have a casual lunch in the heart of the city. Monopole is a casual eatery and wine bar with a laidback ambiance that perfectly complements the surrounding bohemian neighborhood. Chef Brent Savage and Sommelier Nick Hildebrandt (owners of Bentley Restaurant + Bar and local eatery, Yellow), and newcomer Glen Goodwin, own and manage Monopole, and they provide a creative menu of seasonal fare and an impressive wine list that features over 500 wines from around the world. The award-winning restaurant caters for private events and functions with a tailor-made menu and wine list to suit every taste. More vacation ideas: 25 Best Things to Do in Melbourne. Boasting some of the best views in the city from its incredible location on the rooftop of Customs House, Café Sydney is friendly, laidback eatery with a beautiful outdoor terrace. Hailed as one of the most iconic dining venues in the metropolis, Café Sydney captures the very essence of the city in its unique and innovative menu. Enjoy freshly shucked oysters and champagne, seafood platters, roasted Tasmanian trout, and grilled swordfish against the backdrop of the Sydney Opera House. The restaurant also offers a range of classic and signature cocktails, which can be savored in the restaurant or lounge, as well as a finely curated wine list featuring cutting edge varietals from Australia and New Zealand. Billy Kwong is a friendly, neighborhood Chinese restaurant that encourages diners to sit back, relax, and enjoy delicious Chinese fare in a warm and welcoming atmosphere. 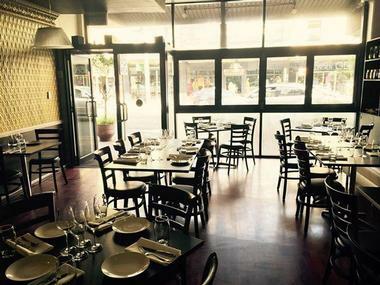 A professional team of chefs and sommeliers who bring their passion for Chinese food to the table are responsible for the management of Billy Kwong, a restaurant established over ten years ago that features an eclectic menu of authentic Australian-Chinese food made from fresh, seasonal, and sustainable products. All sauces and pickles are made in-house, the dumplings and dim sum are made to order, and the daily specials include crispy duck with mandarins. Located in Pott’s Point, Billy Kwong Chinese Eating House is open for dinner seven nights a week. 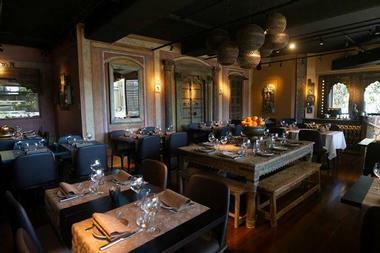 The Spice Room brings a taste of India to the heart of Sydney. Inspired by the rich and unique heritage of India and its delicious cuisine, The Spice Room serves authentic Indian food in a grand setting. The Spice Room combines mouth-watering flavors, and traditional spices present an array of tandoori delicacies, sumptuous curries, simple street food, and sweet desserts to be enjoyed and savored. The Spice Room offers a creative lunch menu served in two- and three-tiered tiffin lunch boxes, akin to those used by workers in Mumbai in India, while for dinner, patrons can choose from a range of signature dishes are served that take all five senses on a culinary journey. A variety of menus are offered, from a regular lunch and dinner menu to take away, pre-theater, and banquet menu. The Devonshire is a stylish restaurant located in Surrey Hills that features a range of menus with contemporary cuisine for lunch and dinner. The restaurant offers diners a three-course Prix Fixe (set menu), an á la carte menu, and an eight-course degustation menu for both lunch and dinner, accompanied by a selection of fine local and international wines, including sparkling and dessert wines. Diners can bring their choice of wine on certain nights of the week, and the restaurant is open every evening except Sunday and Monday. Twenty 8 Acres Café is a cozy, vibrant café renowned for its fresh, seasonal cuisine and mouthwateringly aromatic coffee. Chefs Brendan Nolan and Adam Davis opened this popular restaurant, which is located in the quiet neighborhood of Chippendale and named after the beautiful 28-acre Darling Nursery on which it is situated. The menu boasts dishes that are made from fresh local ingredients and made on site such as the signature house-cured salmon, pickled cucumbers, and daily cakes with delicious, creamy fillings. Sandwiches are made from warm bread delivered from Bowan Island Bakery and coffee is freshly brewed to order. Named after the Italian word for “small lights,” LuMi Dining lightens up under the expert management of co-owner and executive chef Federico Zanellato. 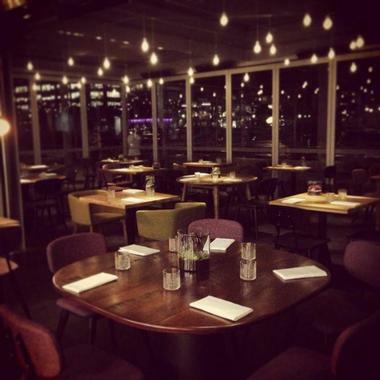 Located on the Sydney Wharf in Pyrmont, the casual eatery features a modern European bar and floor-to-ceiling glass windows that create glowing, glass-walled “lightbox” that boasts beautiful waterfront views. Diners can choose from a four-course or an eight-course degustation menu, which include dishes made from fresh, seasonal ingredients and a full vegetarian option, or an a la carte menu and small plates of tasty bites. Dishes are matched with wines from the impressive wine list, which has favorite Italian wines, as well as several worldwide wine varieties. 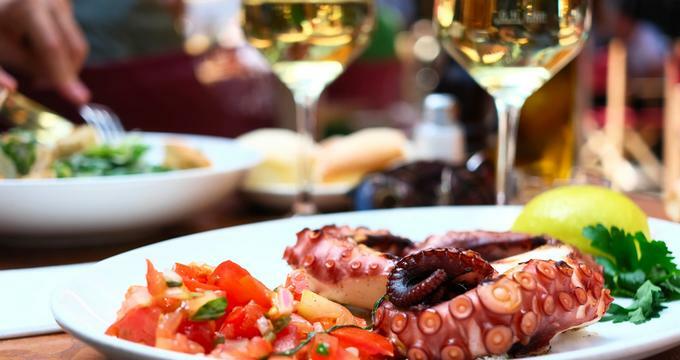 Medusa is an award-winning, authentic Greek tavern run by renowned chef Gregori Akridas, who brings a taste of Greece into the heart of Sydney. Using fresh, seasonal ingredients, Akridas creates a menu of classic and traditional Greek dishes such as tarama and tzatziki dips, dolmades with minted yogurt, and slow-cooked lamb. Don’t miss the stuffed baby calamari for an authentic taste of the Mediterranean. Diners can choose from a variety of menus, from a comprehensive a la carte menu to a thoughtfully arranged set menu or the special banquet menu. A fine selection wine and beer from Greece, Australia and New Zealand provides the perfect accompaniment for your meal. Boasting spectacular views of Sydney’s beautiful city skyline, China Doll is a stylish and sophisticated restaurant that offers a complex menu of modern Asian dishes under the expert guidance of Chef Frank Shek. 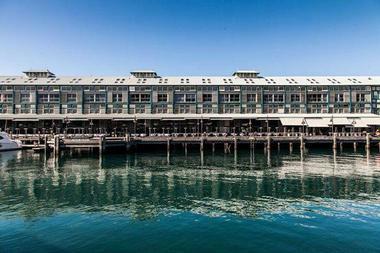 Located at the historic Finger Wharf at Woolloomooloo, this award-winning, Iain Halliday-designed eatery combines traditional oriental tastes and flavors from China, Japan, Hong Kong, and South East Asia with modern cooking techniques to create a balanced menu of seasonal and superior fare. The cuisine is perfectly paired with Asian-inspired cocktails using the famous “five spices,” and diners can admire stunning views from the wharf during lunch and dinner. 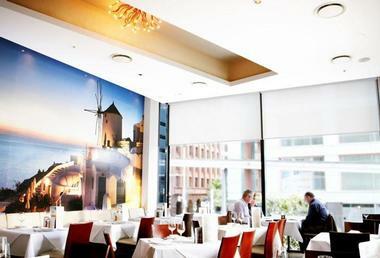 Oscillate Wildly is a contemporary yet intimate neighborhood eatery located in the vibrant suburb of Newtown. Headed by chef and owner Karl Firla, the restaurant features a menu that takes diners on a unique culinary journey where creativity and passion merge in dishes such as scallops with rapa and foie gras with cauliflower maple. Driven to improve and develop both his skills and understanding of ingredients and cuisine, Chef Firla uses fresh, seasonal ingredients to create the menu, which is presented with a variety of wines from some the world's best-known terroirs. The recently renovated restaurant offers a warm and welcoming ambiance that is ideal for a romantic dinner for two or a special event function. Located in the heart of vibrant Potts Point, Busshari Authentic Japanese Restaurant specializes in Japanese style seafood. Executive Chef Nobuyuki Ito fuses traditional Japanese flavors with modern day presentation to create a unique menu of fresh, sustainable cuisine ranging from sushi, sashimi, tempura and oysters. 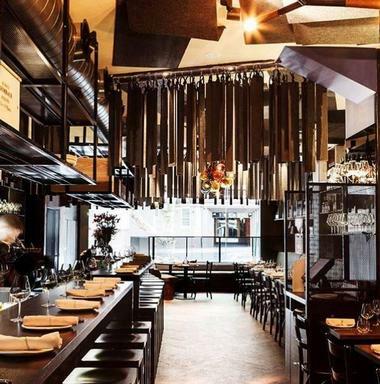 The restaurant has a dark, sensual ambiance with charcoal pebbled walls, smoky mirrors, and oak dining tables, as well as a stylish sushi counter where diners can watch their meals being expertly prepared. 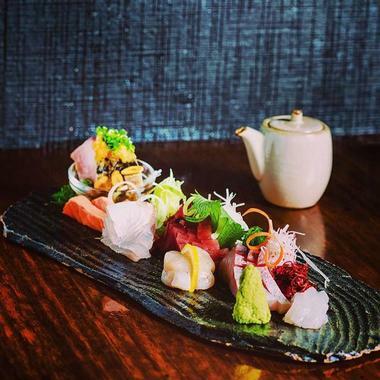 Located in the heart of Sydney, Tetsuya’s Restaurant serves traditional Japanese cuisine in an elegant and sophisticated setting. Situated in a beautifully restored heritage-listed building, the restaurant’s décor reflects the innovative simplicity of the menu with stylish furnishings, low-lighting, and an inviting ambiance. Head chef Tetsuya Wakuda serves a 10-course degustation menu, which is based on the Japanese philosophy of using the freshest possible ingredients and natural seasonal flavors, enhanced by classic French culinary techniques. 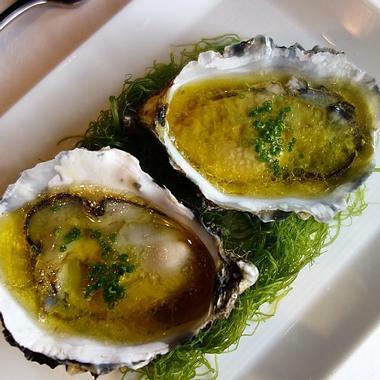 Tetsuya’s also offers diners an unrivaled wine list presented by a team of expert sommeliers who match your chosen dishes with the best wines by the bottle or glass. The entrepreneurial couple of Preeti and Vikram have brought the rich history, culture, and cuisine of Chettinad to the heart of Sydney with Nithik’s Kitchen, a restaurant well known for its authentic Indian cuisine. Drawing on their innate culinary skills and deep-rooted culture, the couple creates a range of menus that combine classic and traditional Indian cooking with modern techniques. The a la carte menu features entrées and mains while the tasting menu allows diners to enjoy a variety of small dishes and tasters. A banquet menu is ideal for larger parties or special functions, and an intimate wine list offers a good selection of wines to accompany the cuisine.